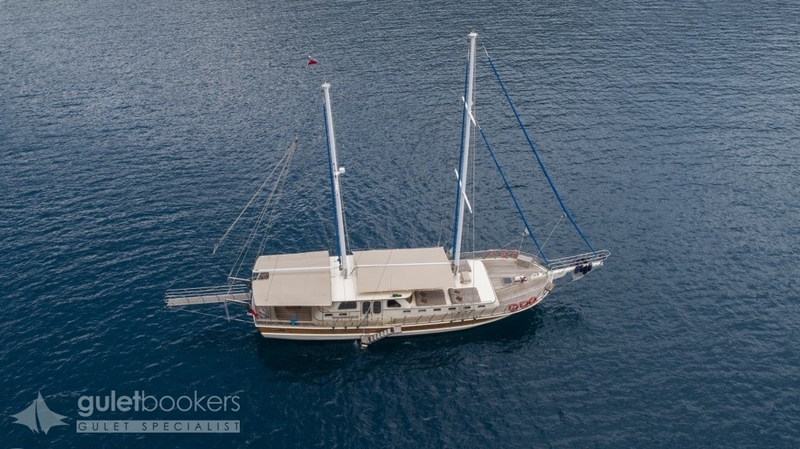 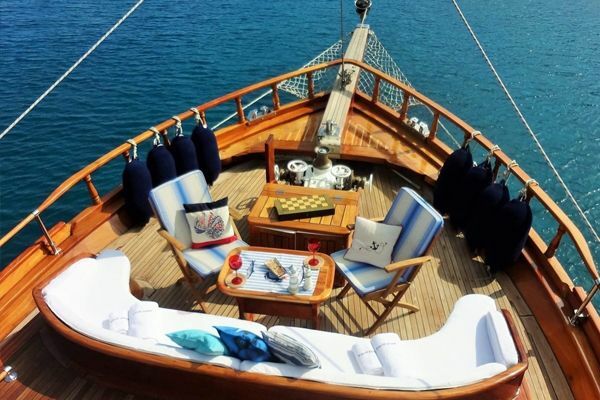 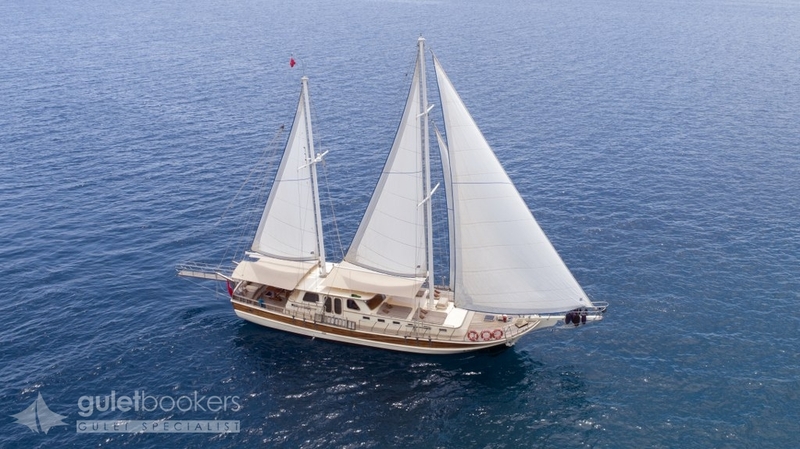 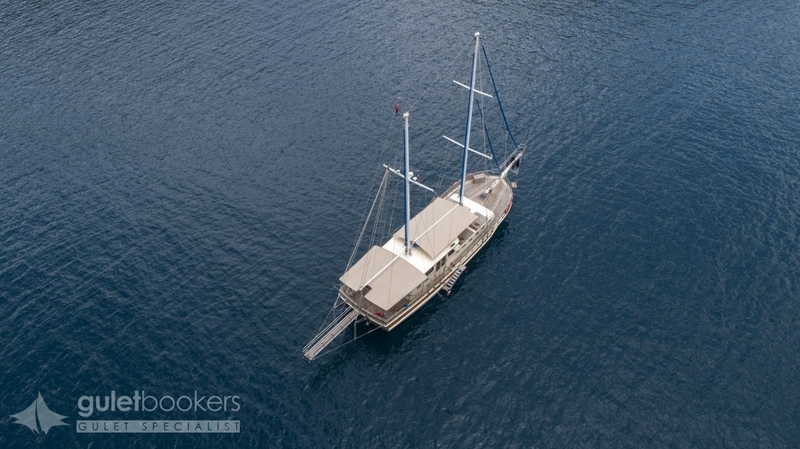 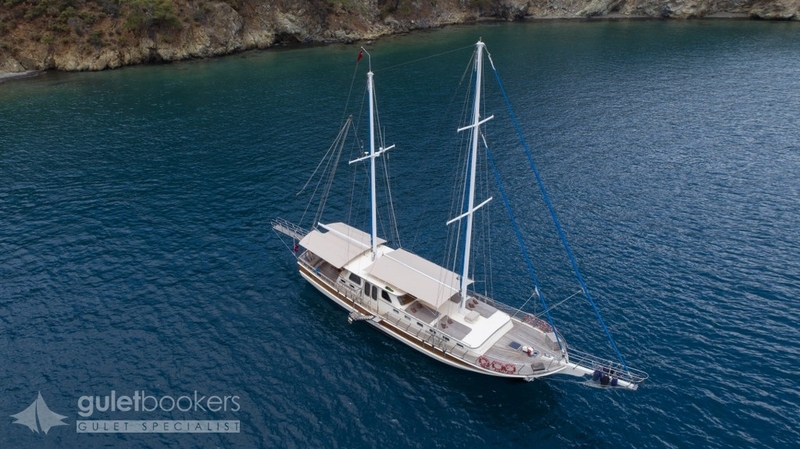 The Luxury gulet Faralya is an excellent choice for a couple, a small family or a few close friends to enjoy a gulet cruise along the Aegean. 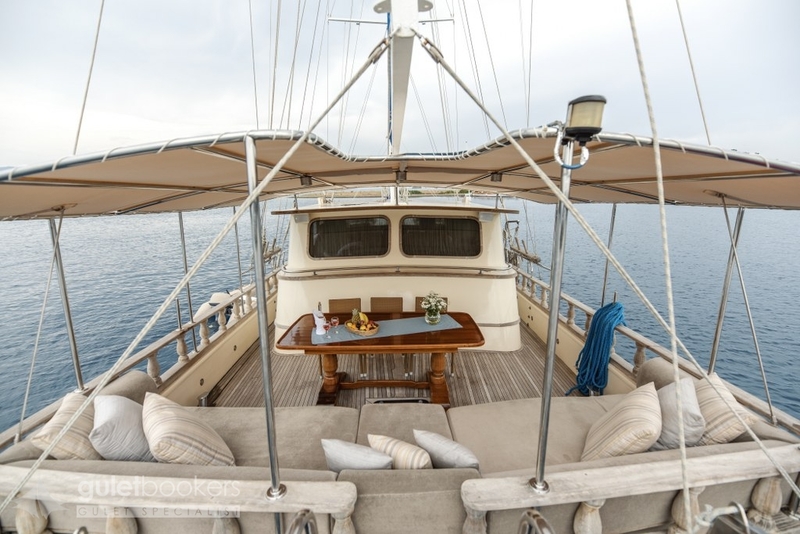 The charm of her stylish and classic gulet hull is apparent throughout from the simplicity of the deck cushions and outdoor dining table to her light and bright interiors where just three cabins enjoy the ample space of the twenty metre hull The one master and two double cabins enjoy comfortable space and each have their own private bathrooms, and all have air-conditioning available. 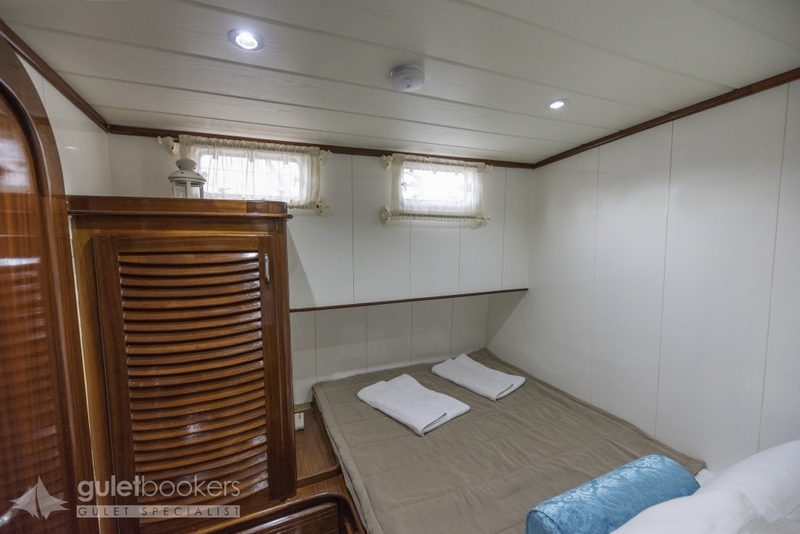 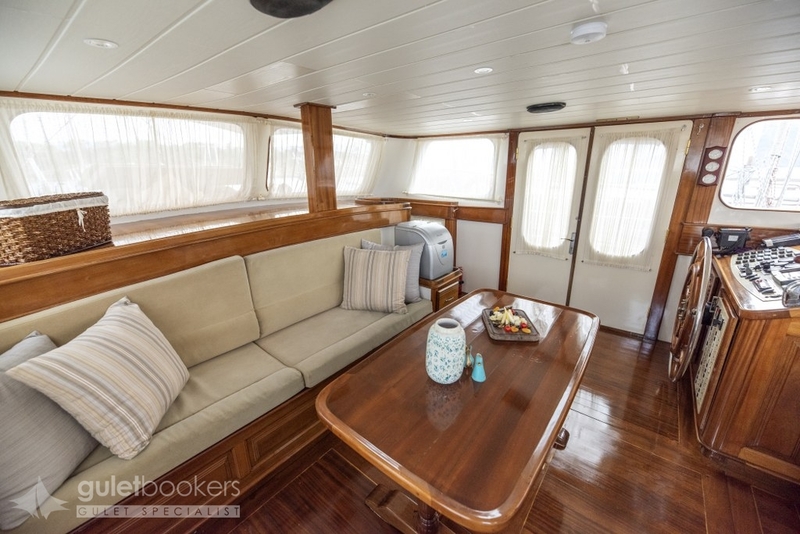 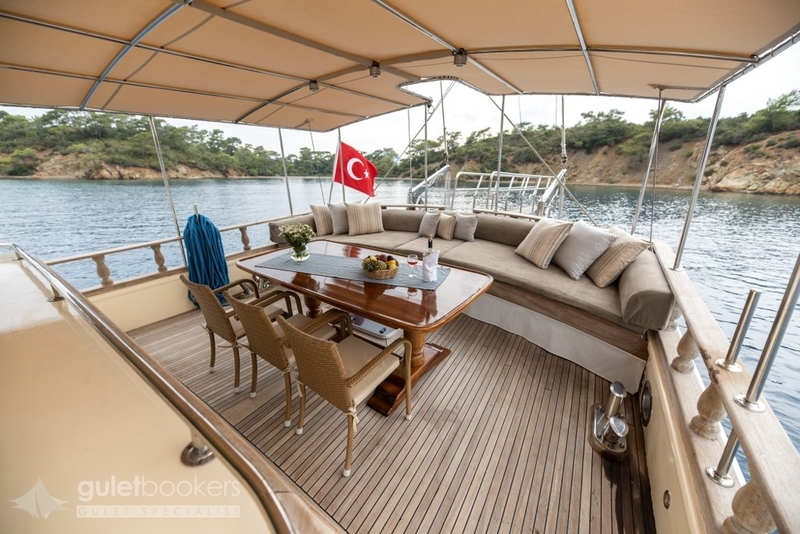 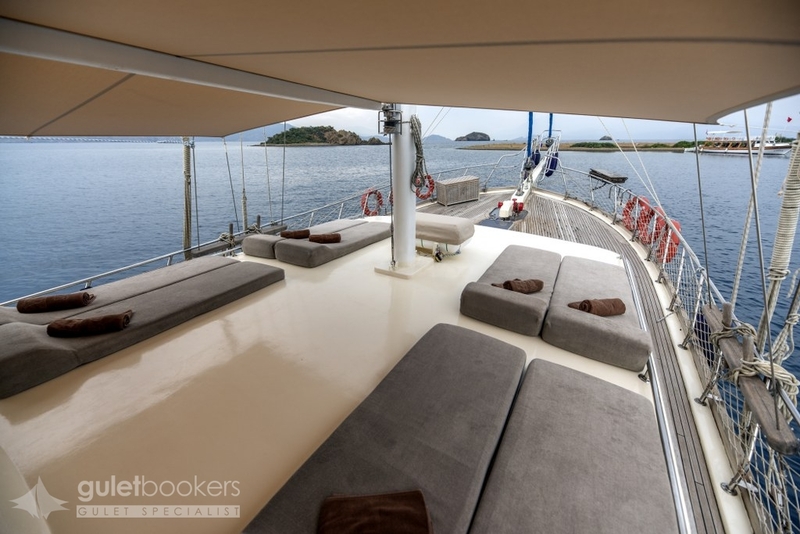 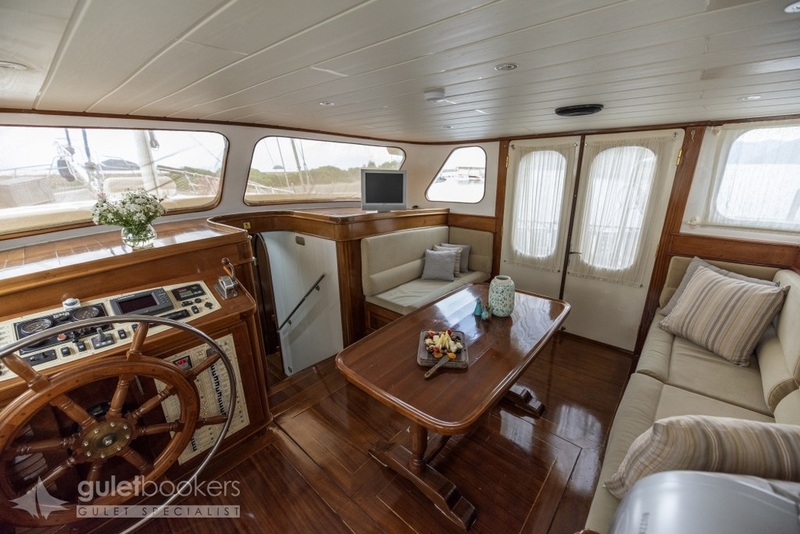 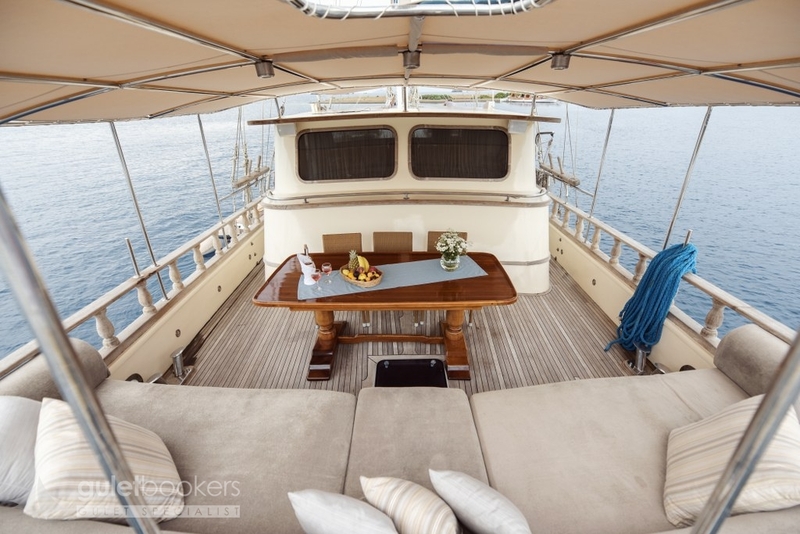 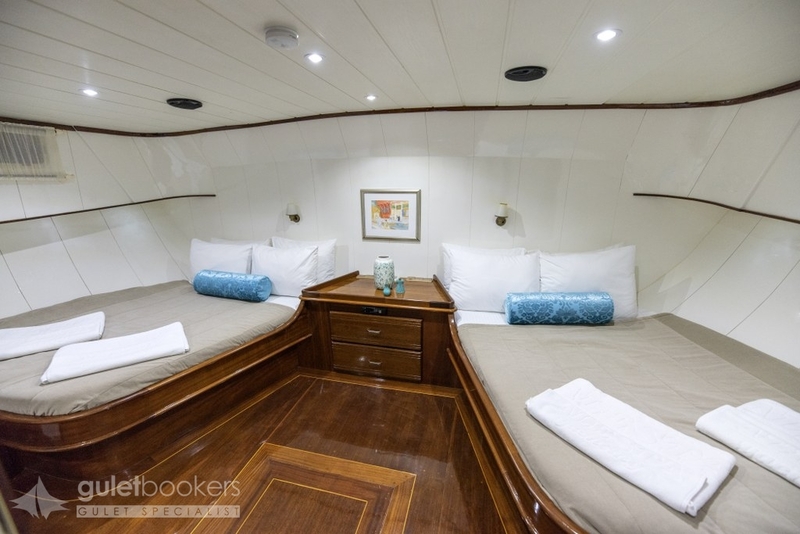 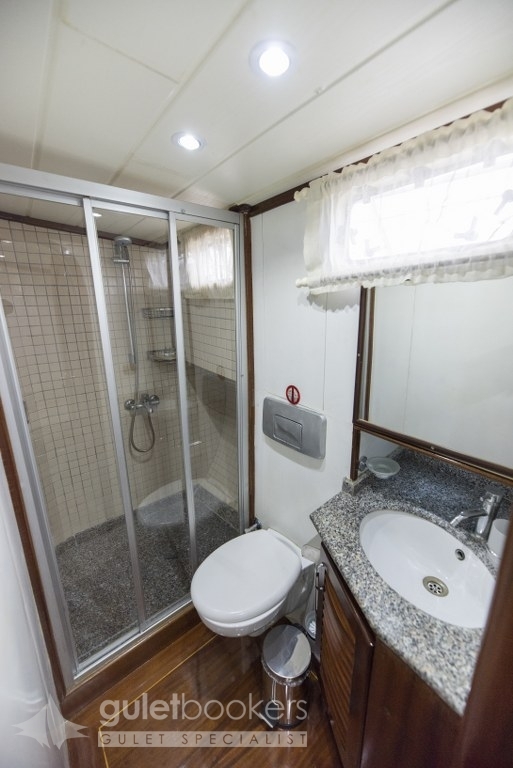 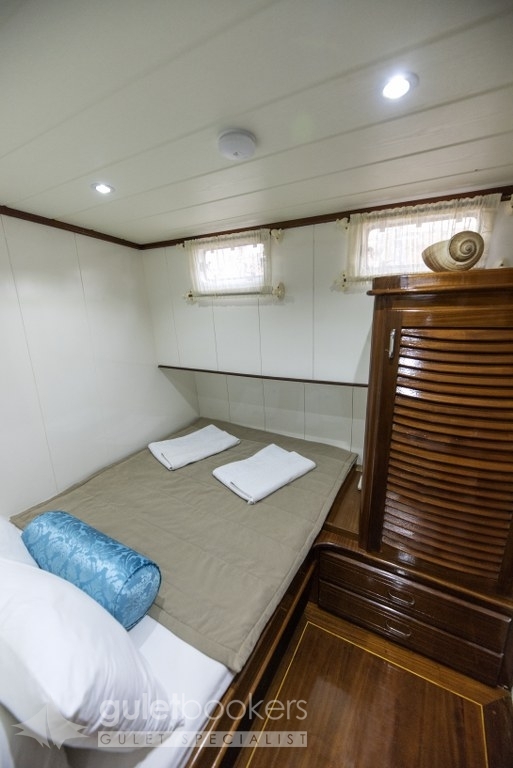 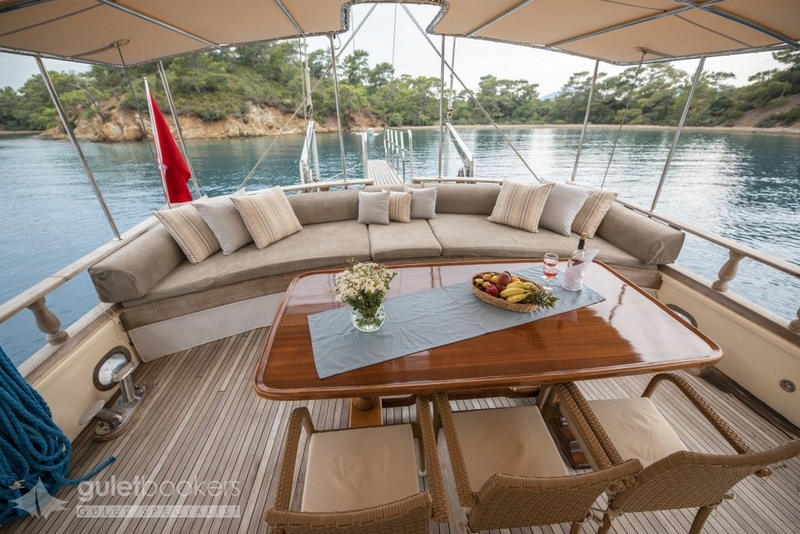 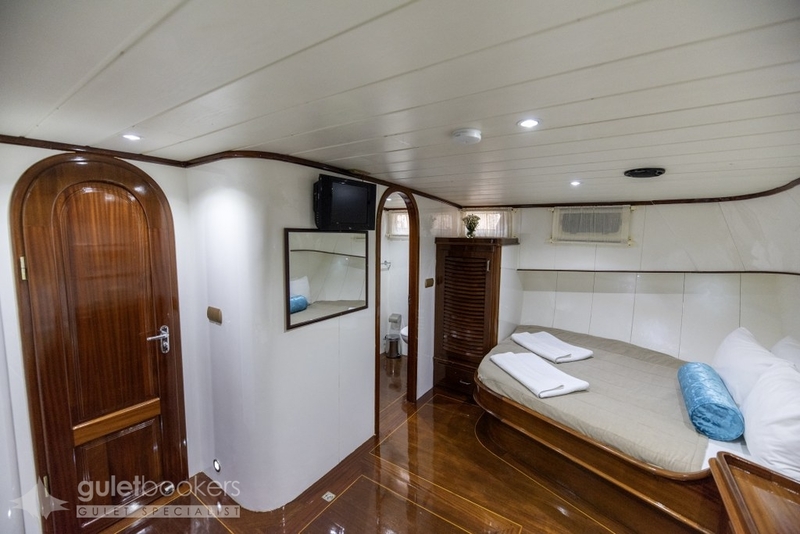 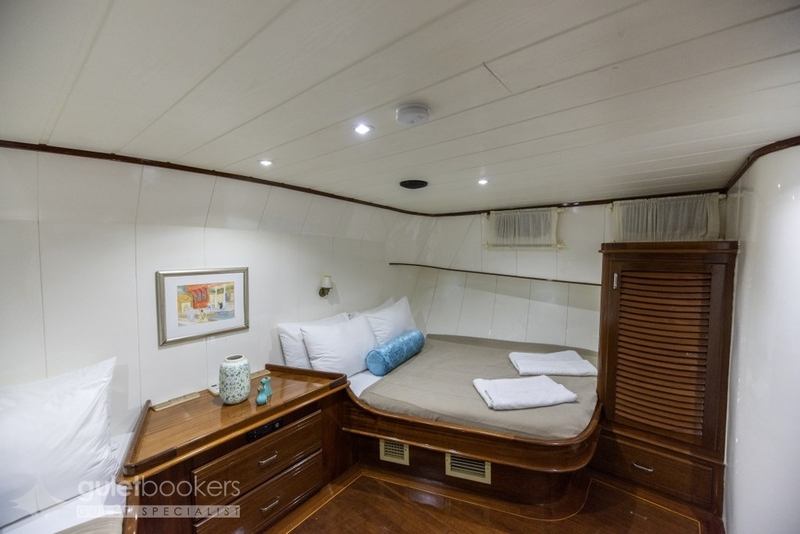 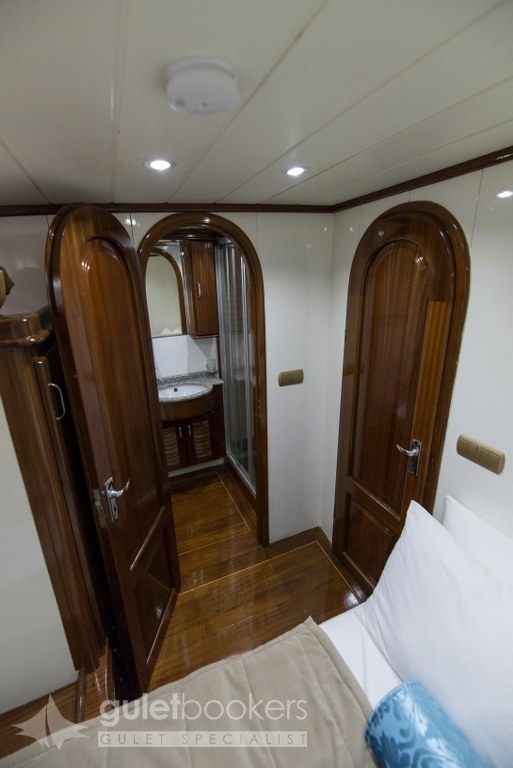 The master cabin on guletboat Faralya has a side seat which may be used as a bed, and has the TV/DVD and CD system plus the minibar as an extra touch of luxury. 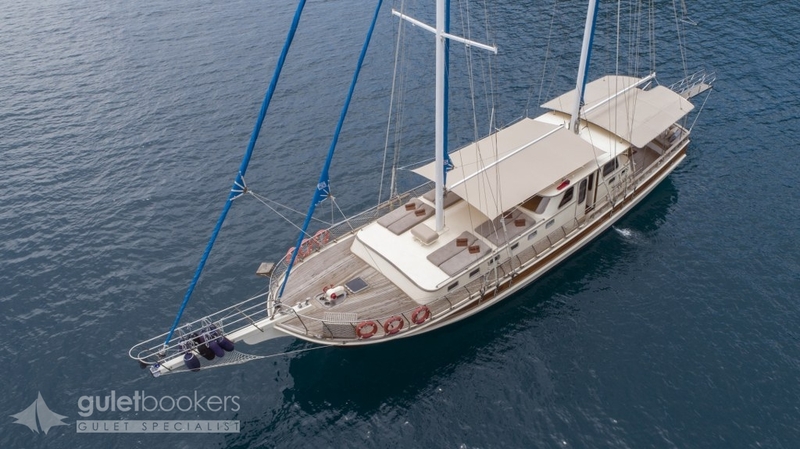 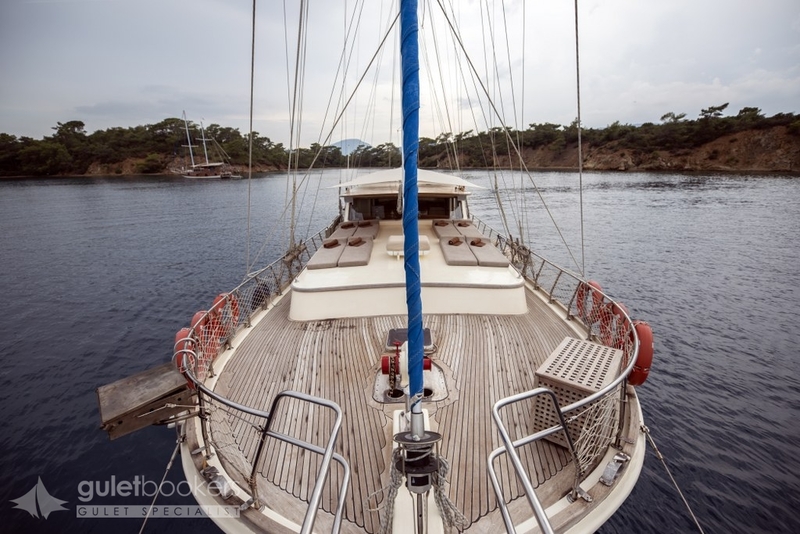 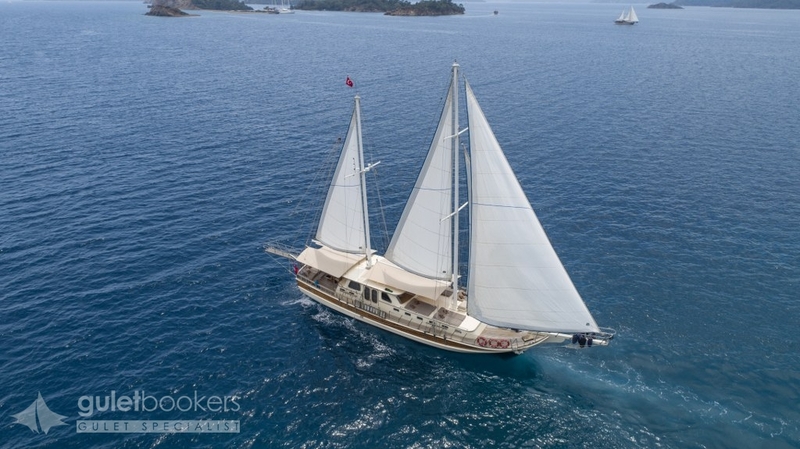 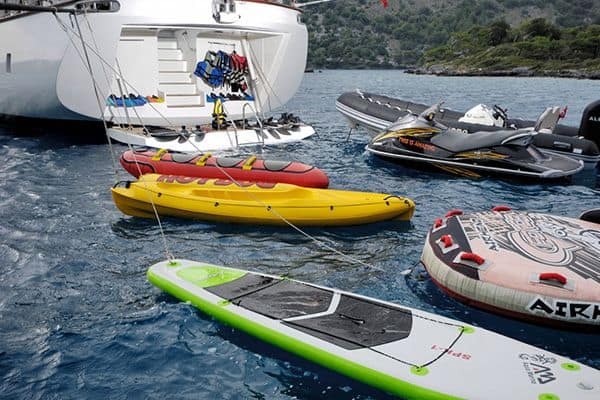 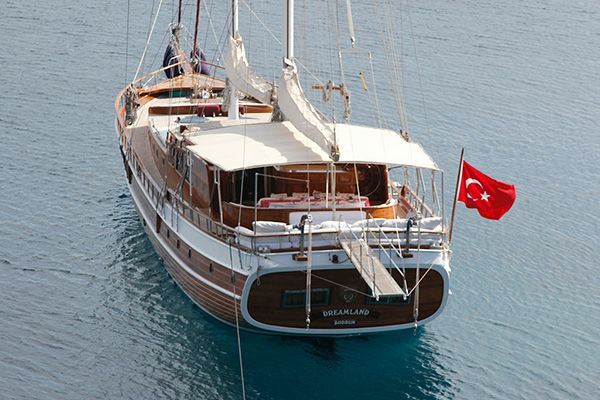 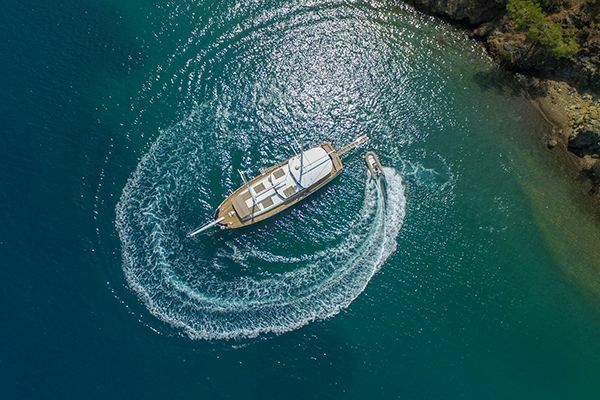 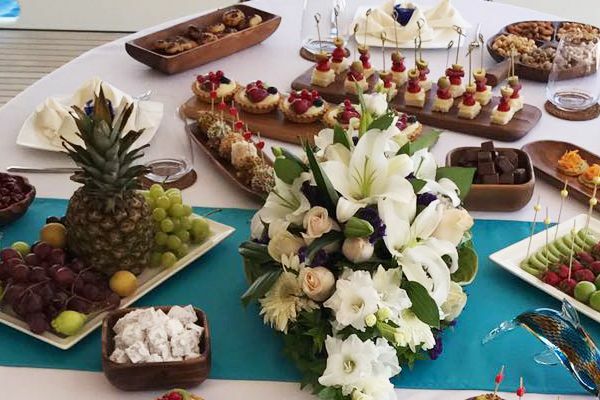 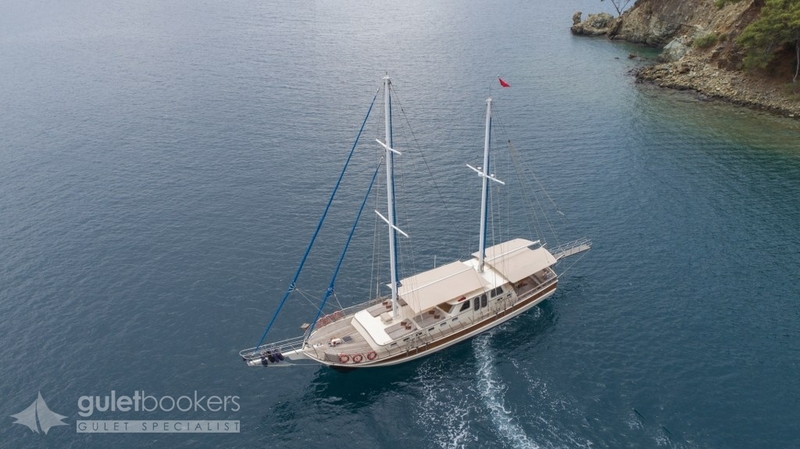 Up to six guests will enjoy the exclusive experience of being pampered by the crew of three who look after all the meals, cleaning and managing the gulet, and who are also more than happy to hoist the sails for the classic escape, the utterly relaxing gulet holiday cruise from Fethiye or Gocek bays along the Mediterranean coast.